(Natural News) Canola oil has long been a regular in health food stores’ supermarket shelves, largely due in part to its popularity that has spanned for nearly two decades. Canola oil remains to be hugely appealing to consumers, and is still the most preferred cooking oil in the restaurant industry. The oil is also known for its apparent benefits that include smaller waist lines, a healthy heart, and a cleaner environment. However, not many people know that canola oil may actually be detrimental to health. Canola plant is a hybridized version of rapeseed, which undergoes a variety of chemical processes before turning into the popular canola oil. Rapeseed oil was once popular for its industrial use, but consuming it was associated with a variety of health woes. Because it is a hybrid of rapeseed, canola oil may prove to be not a very healthy choice, after all. In addition, the canola plant was one of the very first organisms that were genetically modified. This means that the canola plant might have been exposed to tremendous amounts of pesticides. In line with this, this article will cite a few reasons why canola oil might be problematic. Questionable production – Canola oil goes through an extensive manufacturing process that involves chemicals. The canola plant is pressed to extract the oil. Lye is then added to the oil to separate impurities. After that, the oil is washed and filtered before undergoing a bleaching process to remove the odor. “Like all modern vegetable oils, canola oil goes through the process of refining, bleaching, and degumming — all of which involve high temperatures or chemicals of questionable safety. And because canola oil is high in omega-3 fatty acids, which easily become rancid and foul-smelling when subjected to oxygen and high temperatures, it must be deodorized. The standard deodorization process removes a large portion of the omega-3 fatty acids by turning them into trans fatty acids…,” the Weston Price Foundation was quoted in saying on TheHealthyHomeEconomist.com. Chemical contamination – Because it underwent extensive chemical processes, canola oil might be contaminated with hexane, a toxic byproduct of gasoline refining, health experts at the University at Berkeley cautioned. Accelerated rancidity – Canola oil is known to turn rancid very quickly. 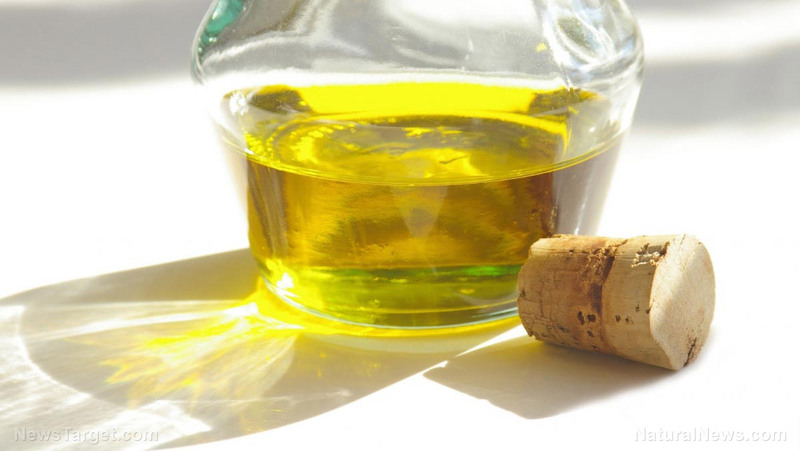 When consumed, rancid oil may spur negative effects on the body’s overall health. Rancidity often indicates oxidation. “You know what happens when an apple is exposed to air? Oxidation is the process that turns it brown and makes it go bad. If you eat vegetable oils that are already oxidized from heat and light in processing, you are exposing your own healthy tissues to a volatile substance which will damage them…. Oxidation, or rancidity, is not only a major contributor to most degenerative diseases, it also causes inflammation. Excess inflammation in the body can cause anything from arthritis to more serious diseases such as Parkinson’s, bipolar moods, schizophrenia, and obsessive compulsive disorders,” an article in Food Renegade.com read. No cardiovascular benefits – Contrary to popular belief, canola oil may offer no cardiovascular benefits at all. According to an article published on EmpoweredSustenance.com, multiple studies have shown that vegetable oils, such as canola oils, may actually increase the risk of developing cardiovascular disease. The article also noted that while canola oil may reduce bad cholesterol levels, the effects were rather short-term. Organic canola oil is no different – Even canola oils deemed organic still undergo various production processes, and may not have a healthier fatty acid profile compared with commercial varieties. You can read more articles like this when you visit Nutrients.news.